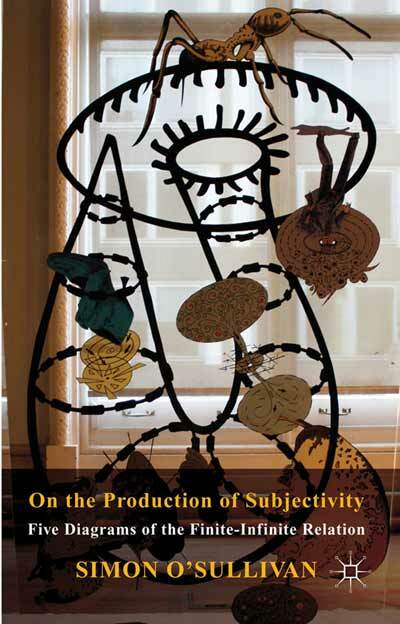 Simon O’Sullivan talked about his then new book: “On the Production of Subjectivity. Five Diagrams of the Finite Infinite Relation”. How might we produce our subjectivity differently? Indeed, what are we capable of becoming? The book addresses these questions with a particular eye to ethics, understood as a practice of living, and aesthetics, understood as creative experimentation and the cultivation of a certain style of life. Central to the enquiry are the writings of Felix Guattari and Giles Deleuze separately and in collaboration, as well as their philosophical precursors, Spinoza, Nietzsche and Henri Bergson. At stake in this philosophical and psychoanalytical exploration is the drawing of a series of diagrams of the finite/infinite relation, and a further development of Guattari’s ethico-aesthetic paradigm for thinking the production of subjectivity as a speculative, but also pragmatic and creative practice. Simon O’Sullivan is lecturer in art history/visual culture at Goldsmiths College, University of London. He has published widely on aesthetics and modern and contemporary art, and is involved in collaborative art practice, with David Burrows, under the name Plastique Fantastique. Recording of Simon O'Sullivan: On the Production of Subjectivity. Five Diagrams of the Finite Infinite Relation.